Image courtesy of Limbo Agency. There is a preconception that small presses, existing as they do outside the mainstream, publish poetry that is wilder, stranger, more political, and more ethnically diverse. Poetry that the university publishers have turned away, or whose genius such presses have failed to recognise. Poetry that bucks the mannered, nostalgic style that monopolizes the prizes and the media. Poetry that takes risks. No safety, no submission. Of course, Māori and Pasifika writers still publish within the mainstream, and are even fed into the dreaded mouths of university presses via the creative writing industrial complex. Tusiata Avia, for example, came up under the ‘straightening‘ tutelage of Bill Manhire’s International Institute of Modern Letters, so-named by the Vegas cowboy billionaire who funded its establishment. In 2016, she published her awards-shortlisted startling third collection, Fale Aitu | Spirit House, with Victoria University Press. While poetry is regarded as a strange and archaic art-form for most New Zealanders (‘Oh, you’re a poet? I’ve never met a poet before! I didn’t know they still existed!’), and poetry is near-invisible in the shelves of Dymocks and Take Note, the stakes of poetry publishing are enormously high for poets themselves. Being unable to find a home for one’s book can be a crushing feeling, spurring the sorts of frustrated energy by which new presses are born. Sometimes, though, the aesthetic ‘wars’ between the large and small presses play out in the form of lightly boozy, cheery jesting, in the convivial climes of book launches – at least in Wellington, where everyone knows everyone. I think of Fergus Barrowman, the publisher at Victoria University Press, squinting at the pages of a freshly launched issue of Hue & Cry (the journal) and decrying the size 8 font, wine in hand. So are small poetry presses publishing boundary-pushing, risk-taking, experimental work? Well, the answer is: sometimes. Sometimes small NZ presses are putting out work of zine-like freedom and stunning weirdness. Sometimes the production values are far lusher than the university presses, whose financial constraints and high output make print-on-demand a necessity, resulting in thinnish pages and visible pixels. Sometimes the poetry championed by small presses is deeply exciting. And sometimes it isn’t. The work can be accessible and predictable, in need of a harder editorial steer, and seemingly rushed to the page when it would have benefitted from a year or more of fermentation. The publishing sensibilities that shape these various outputs are themselves various, and produce variously interesting work. The Hoopla series, by Mākaro Press, pitches itself as a boisterous, extravagant, and playful publishing project, while asserting accessibility and clarity as its key values. Is this a contradiction? The very attractively packaged and tidily designed books – lovely to hold – include Helen Rickerby’s Cinema, an absolute classic, Jen Compton’s wonderfully funny Mr Clean and The Junkie, a cinematic book-length underbelly love story, and Brian Walpert’s Native Bird, an accomplished, seeking collection. Walpert’s poems are generous in their concessions of clarity to the reader, and are saved from the over-easy epiphanic mode by their meta playfulness and genuinely meditative engagement with the nuanced pain of parenting and domestic co-habitation. Hoopla also supports new voices, as one in every series of three is a debut collection. Some new voices are cracklingly promising. My heart quickened at Elizabeth Morton’s Wolf poems: fierce, nasty, taut, hot-blooded. These would have made a stunning chapbook, as the rest of the collection sagged somewhat after the accomplishment of the first ten pages. Morton’s self-consciously gritty image-accretion needs a character to centre it and give it purpose. Other new Hoopla voices exhibit the quiet, safe, tea-drinking nostalgia that frustrates seriously intertextual, experimental, or research-disciplined poets who feel they can’t get a foot in the door. 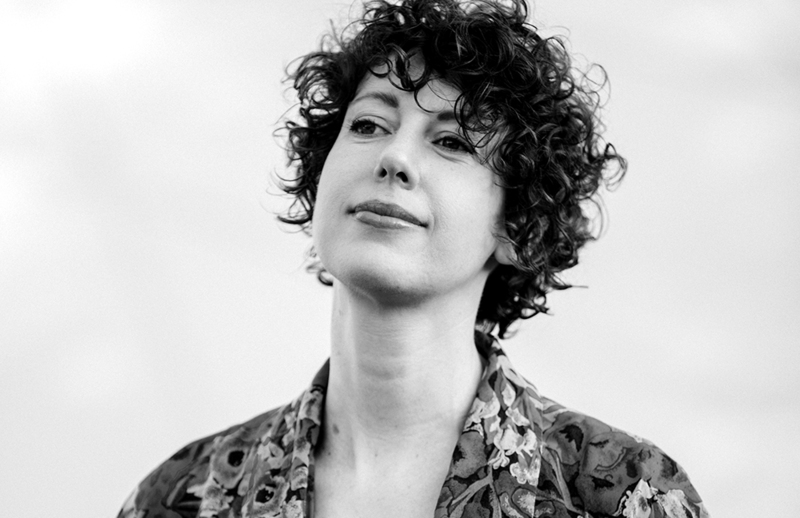 Helen Rickerby, the editor at Seraph Press, operates free of any commercial constraints – by inclination and by choice, but also because she once applied for Creative New Zealand funding, and was turned down, and can no longer abide the disappointment and the extensive faffery of all those forms. She and her husband fund the press, and book sales usually bring in enough revenue to cover printing costs at least. Seraph Press has sometimes taken on projects that other publishers wouldn’t touch. Their first-ever book was Locating the Madonna in 2004, an epistolary collaboration between Anna Jackson and Jenny Powell that didn’t interest their usual publishers. Fourteen years later, the catalogue is populated by a top-notch range of established and newer poets. Poet Laureate and recipient of the Prime Minister’s Award for Literary Achievement, Paula Green, released a thoughtful, playful collection called New York Pocket Book in 2016. In 2015, Seraph published Johanna Aitchison’s second collection, Miss Dust, a mature, sure-footed work, painting crackling, cubist little vignettes of autobiographical dream-scenes. Last year, Nina Powles’s Luminescent was well-received. This collection is unusually bound. A folder cover contains five chapbooks, each about a different historical or historico-fictional woman: a dancer who burned to death on the stage of the Grand Opera House in 1923; a ghost from Powles’ high school who is said to have tripped down the stairs when she heard her husband return from a voyage at sea. The romantic prettification of the deaths of these various women felt, to me, less thoughtfully and thoroughly explored than the wonderful, deep, and mysterious poems in her earlier Seraph chapbook Girls of the Drift. Besides Cold Hub, who has been publishing poetry in translation for some time, Seraph is the only small NZ press with a regular translation practice. Seraph has published translations of Greek, Italian, and French poetry, and Tātai Whetū: Seven Māori Women Poets in Translation is forthcoming – a book that has (finally) garnered some Creative New Zealand funding, thanks to co-editor Vana Manasiadis’ patience with filling out forms. This entry was posted in ESSAYS and tagged Joan Fleming. Bookmark the permalink.